Get ready for a Tropical experience with this 15 ft. Tropical Water Slide! This unit can be used wet or dry. 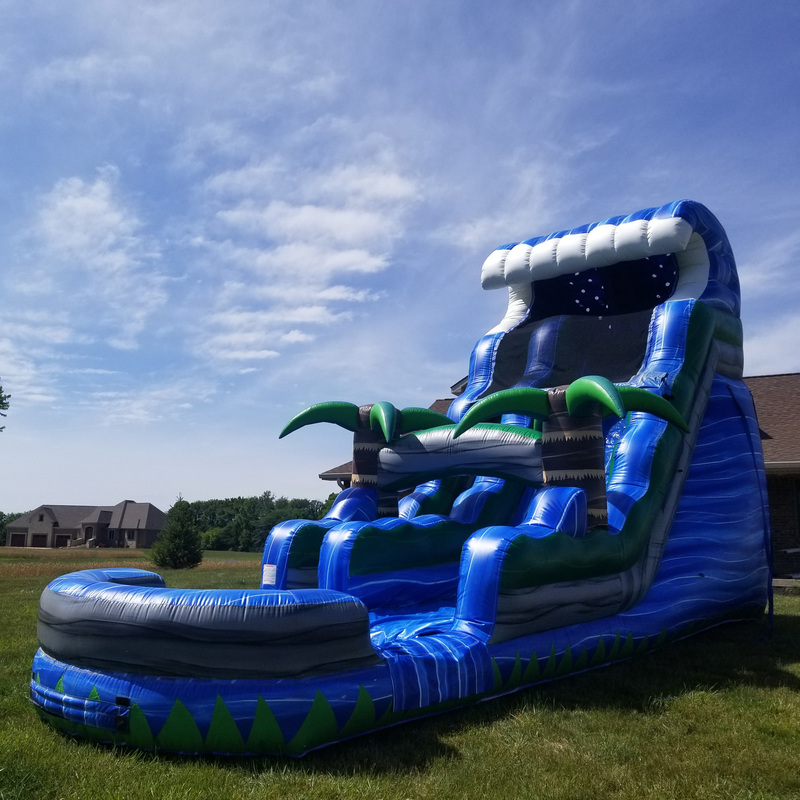 This unit's unique colors differentiate it from other water slides and are guaranteed to grab the attention of guests at parties and gatherings! Requirements: Inflatable requires a relatively flat surface about 38ft x 20ft within 100 feet of an electrical outlet. We prefer to set the inflatables up on grass, but concrete or asphalt is acceptable as well. All of our inflatables can be setup indoors upon request, and space requirements can be met. 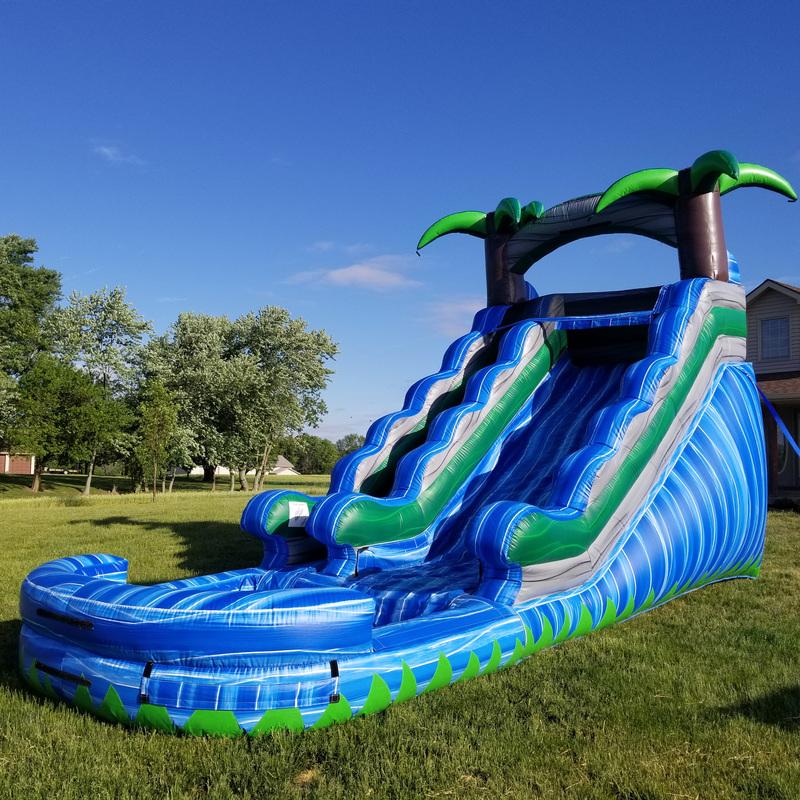 Get ready for the summer with this with this 18ft Tsunami Water Slide! This unit can be used wet or dry. 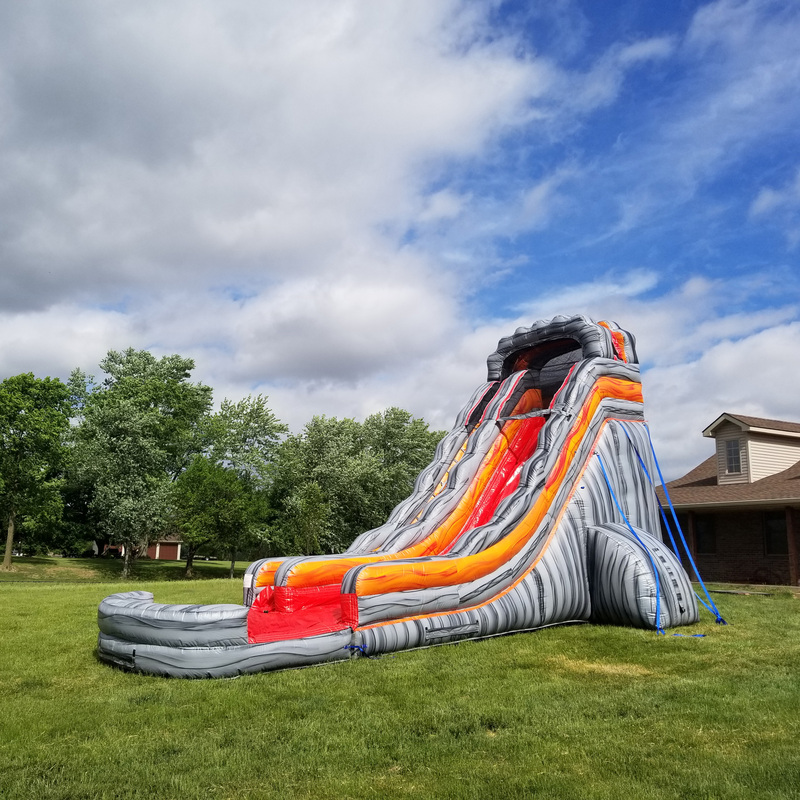 This unit's unique colors and looks differentiate it from other water slides and are guaranteed to grab the attention of guests at parties and gatherings! Requirements: Inflatable requires a relatively flat surface about 37ft x 16ft within 100 feet of an electrical outlet. We prefer to set the inflatables up on grass, but concrete or asphalt is acceptable as well. All of our inflatables can be setup indoors upon request, and space requirements can be met. Get ready for a volcanic explosion with this 22ft Volcano Water Slide! This unit can be used wet or dry. 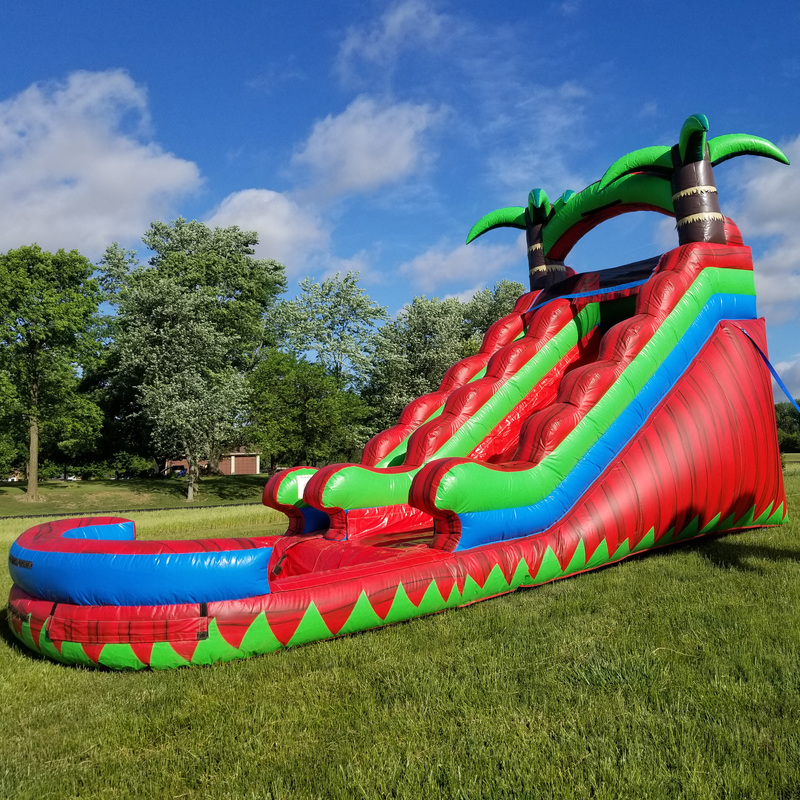 This unit's unique colors differentiate it from other water slides and are guaranteed to grab the attention of guests at parties and gatherings! Requirements: Inflatable requires a relatively flat surface about 50ft x 26ft within 100 feet of an electrical outlet. We prefer to set the inflatables up on grass, but concrete or asphalt is acceptable as well. All of our inflatables can be setup indoors upon request, and space requirements can be met.